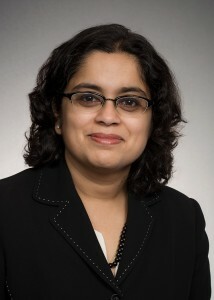 Dr. Monica S. Vavilala, M.D. Dr. Vavilala is Professor and Vice Chair for Strategic Affairs in the Department of Anesthesiology & Pain Medicine and Director of the Harborview Injury Prevention & Research Center at the University of Washington. Her work considers health at the level of the individual, the community, and the health system, using both qualitative and quantitative methodologies, with an emphasis on injury control. Her research interests include traumatic brain injury and pediatric trauma, specifically linking treatment of acute care with long term outcome. 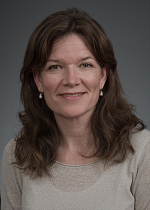 She has been principal investigator in recent studies examining changes in systemic hemodynamics, cerebral blood flow and cerebral autoregulation after pediatric traumatic brain injury. Dr. Vavilala received her medical degree and completed her pediatrics residency at the University of Texas, and completed her residency in anesthesiology at the University of Washington. Dr. Mock is a Professor of surgery at the University of Washington’s Departments of Global Health and Epidemiology and previously served as Director of the Harborview Injury Prevention & Research Center from 2004 until 2007. He earned his MPH and Ph.D from the University of Washington and his M.D. from Brown University. Dr. Mock also holds his board certification in general surgery and trauma and surgical critical care. His main interests include the spectrum of injury control activities, especially as they pertain to developing countries. He has been engaged in this work along with a network of collaborators in Ghana, India, Mexico and Viet Nam. In addition, Dr. Mock serves with the World Health Organization’s Department of Violence and Injury Prevention and Disability as well as the American College of Surgeon’s Committee on Trauma. 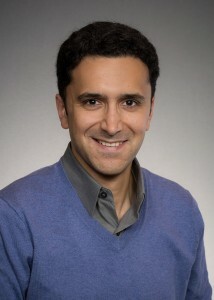 Dr. Ali Rowhani-Rahbar, M.D., MPH, Ph.D.
Dr. Rowhani-Rahbar is an Associate Professor of Epidemiology and Adjunct Associate Professor of Pediatrics at the University of Washington. His substantive area of research is violence epidemiology with a focus on trauma-crime nexus to inform interventions that promote healing and prevent recidivism. He investigates violence victimization and perpetration with an integrated public health and safety approach. He has been involved in studies of violent injury and crime before and after firearm-related hospitalization, interventions to promote safe gun storage, firearm access in relation to mental illness, and influences of policies on firearm injury. 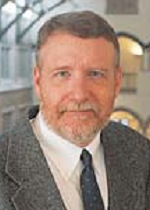 He has served on the American College of Emergency Physicians Technical Advisory Group on Firearm Violence Research, and the Firearms Subcommittee of Washington State Safer Homes Task Force for Suicide Prevention. Methodologically, he has contributed to the field of injury prevention by examining the epidemiology of traumatic brain injury, drowning, burns, adverse events following medical interventions, and other traumatic outcomes. Dr. Ebel earned her M.D. at the combined Harvard Medical School/M.I.T. program, received a Masters in Development Economics from Oxford University, and obtained her MPH at the UW School of Public Health. She also served as Director of the Harborview Injury Prevention & Research Center from 2007 until 2014. Her clinical interests include medical consultation for pediatric trauma patients and primary care for vulnerable populations. Dr. Ebel’s research interests include injury prevention, community interventions, and health behaviors, with emphasis on high-risk populations. Her work includes multi-site community intervention to improve child passenger safety in Latino and Native American communities, interventions to reduce teen distracted driving, and interventions to improve language access. She has also given expert testimony to the Washington State Legislature, including during hearings for the 2017 Driving Under the Influence of Electronics Act that banned hand-held cell phone use while driving. Dr. Arbabi earned his M.D. at University of California Davis before coming to Seattle for his residency in Surgery at University of Washington, where he then received his MPH in Injury Epidemiology. He is a Professor of Surgery at the University Washington and the Chief of Emergency Surgical Services at Harborview Medical Center. He also serves as the Chair of the Washington State EMS and Trauma Steering committee as well as serving as Washington State Chair for the Trauma and is board certified in surgery and surgical critical care. His laboratory performs research in wound healing and inflammatory signaling. 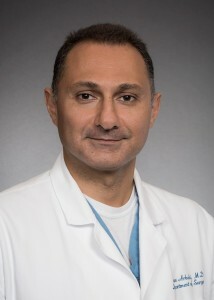 Dr. Arbabi is also active in surgical outcomes research with focus on trauma systems, geriatric trauma, and post discharge rehabilitation of the surgical patients. His clinical activities focus on acute care surgery trauma, burn, and surgical critical care.